Looking ahead, what are the key iss­ues that will dominate the health policy agenda in the upcoming EU legislative period? What challenges will stakeholders face from 2019 to 2024 and, more importantly, how will they overcome them to ensure better care for EU citizens? 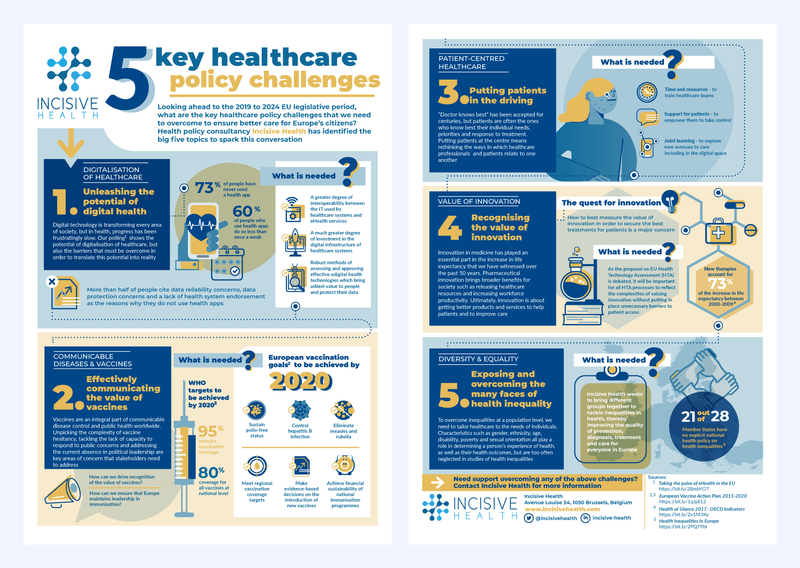 To answer these questions, Incisive Health, an award-winning healthcare policy and communications consultancy, identified 5 key challenges. We were tasked and developed an infographic to visualise these challenges. The infographic is available in an A4 recto/verso print-friendly version.